Virgin Kurschel Valleys Wildlife Sanctuary, Chhattisgarh is one of the more popular Wildlife Sanctuaries in the state. The breathtaking natural beauty and abundant Wildlife in Chhattisgarh make it one of the most visited wildlife destinations in India. 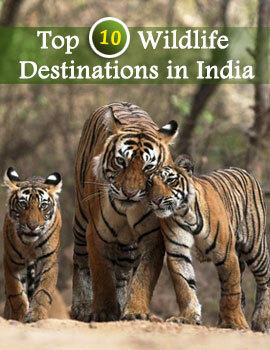 The state boasts of a vast potential for wildlife and eco tourism. The Virgin Kurschel Valleys Wildlife Sanctuary, Chhattisgarh, with its gigantic trees, is situated about 40 km north west of Narainpur in Bastar District. Virgin Kurschel Valleys Wildlife Sanctuary, Chhattisgarh is among the prominent tourist attractions for nature and wildlife lovers in Chhattisgarh. Home to some of the most endangered and rare wildlife, the sanctuary is blessed with a rich and diverse flora and fauna. This virgin and less explore wildlife sanctuary provide perfect opportunities for you to encounter wildlife in their natural habitats. A visit to Virgin Kurschel Valleys Wildlife Sanctuary in Chhattisgarh promises to be an exciting and enchanting experience for nature and wildlife enthusiasts, as well as for those who are inclined to discover the distinct tribal culture of the region. If you are planning a trip to Chhattisgarh, the Virgin Kurschel Valleys Wildlife Sanctuary, Chhattisgarh must feature on your list of must-visit destinations. Some of the other important wildlife sanctuaries in Chhattisgarh include the Indravati National Park, which is by far the most famous sanctuary in the state. 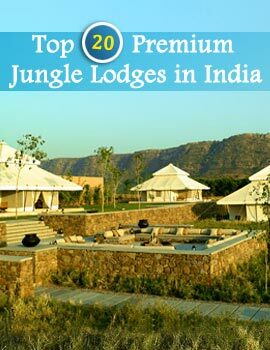 Also worth mention are Kanger Ghati National Park, Barnawapara Wildlife Sanctuary, Sitanadi Wildlife Sanctuary, Udanti Wildlife Sanctuary and the Achanakmar Wildlife Sanctuary. The Sanjay National Park, Badalkhol, Bhairamgarh, Pamed, Semarsot, Tamor Pingla and Gomarda wildlife sanctuaries also form integral part of the enchanting Wildlife in Chhattisgarh.